Evolving with each passing day, networking has become the most challenging technology to learn. To bring everything under one umbrella, within the context of levels and verticals, Cisco systems introduced its trainings and certifications which are now globally accepted. Setting the benchmark of networking proficiency with credibility, Cisco Certifications are the renowned and most prestigious certifications across the globe. These industry-leading networking certifications are divided into three levels, Associate, Professional and Expert. CCNA – Cisco Certified Networking Associate – A beginner level certification divided into Cisco’s 9 domains; Cloud, Collaboration, Cyber Ops, Data Center, Industrial, Routing and Switching, Security, Service Provider and Wireless. These certifications lay the foundation of Cisco Networking and its training trains the students on the very basic of networking. CCNP - Cisco Certified Network Professional – This is a professional level Cisco Certification, a successor of CCNA that sheds light for the deeper understanding of each concept of Cisco Networking covering following domains; Cloud, Collaboration, Data Center, Routing and Switching, Security, Service Provider and Wireless. CCIE – Cisco Certified Internetwork Expert Certification is Cisco’s highest level certification and very difficult to achieve. It is World’s Most Demanded, Highest paid and Most Prestigious IT Certification. If you are a CCIE, there’s an entire new ocean of opportunities waiting for you. After choosing which certification you need to do, it is important to choose the books you want to study from. Networking being a very vast technology, cannot be covered into few books. One must know all the topics and concepts that are asked in the certification examination to clear in the first attempt. So, the choice of books that covers everything that is important and can help you clear the certification is very significant. To address the same issue, Networking Experts came together to create few E-Books for its students that allows them to have everything at one place, making it easy for them to clear the examination. Students no longer have to spend time searching for the perfect E-Book for them! Following are the Network Bulls E-Books available for free. Dividing networks into smaller ones and providing an IP to each to enhance the efficiency and increase the security of the network is Subnetting. It is one of the major topics of CCNA Training and covers almost the entire CCNA Examination. Hence, this Subnetting E-book is specially designed for the sole purpose of attaining expertise in the given space. This E-Book is designed by a panel of Cisco Experts in Network Bulls who have both industrial and training experience. These experts pulled off the best and easiest way to meticulously score you in subnetting, guaranteeing you a proficiency after a successful end to it. To clear any Cisco Examination, it is imperative to practice hard for it. These exams are neither easy nor cheap, so you must be well prepared for it. 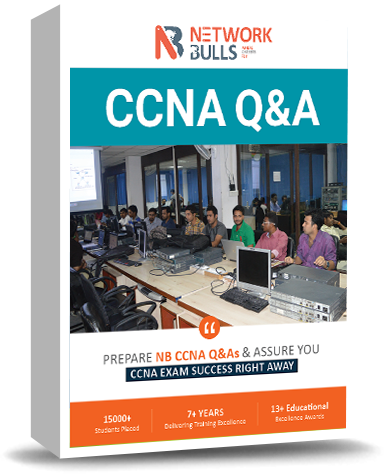 To fulfill the same, the expert team of Network Bulls made this Cisco CCNA Q&A E-Book which covers the questions that came up in the Cisco CCNA Certification in last many years. 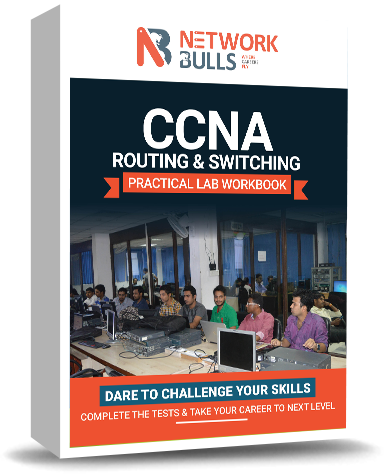 This E-Book gives you a preview of the CCNA Routing and Switching Examination and helps you practice to the best to clear the examination in the first attempt. Consolidated of all the important questions and major topics, it is a gem in many. CCNA Routing and Swathing Practical E-Book offers you with CCNA level lab questions with an explanation of each. These questions help you practice on the important concepts of CCNA and grows your skills into it. Along with these questions, it has explanations of the major CCNA R&S topics. Once you solve this E-Book, you will develop an in-depth understanding of the Cisco CCNA Routing and Switching Examination. Overall this E-book is your complete guide to CCNA R&S Practical exposure. Completing this successfully will give you a proficiency in CCNA R&S concepts, topologies and more. CCNP R&S Practical E-Book is a level up to CCNA R&S Practical E-Book. Like CCNA, this E-Book gives you everything that is needed for your CCNP Routing and Switching Examination. 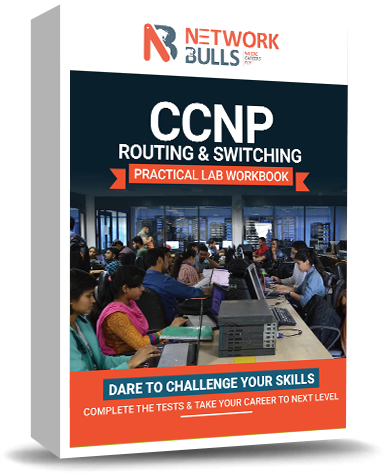 Working out the practicals in these E-books and solving them one by one will give you a complete understanding of each concept of CCNP. Conclusively, designed by many CCIE R&S Experts, this E-book is an assortment for your Cisco CCNP Certification. With certified Cisco trainers, learning CCNP becomes easy and skillful by this Network Bulls CCNP R&S Practical E-Book. The CCIE experts at Network Bulls spent thousands of hours into picking out specific topics that are needed to understand the concept. Also creating a question and answer workbook after going through the last 10 years of Cisco Examinations. The gist of many, these E-Books are the answers to success to many Networking aspirants.